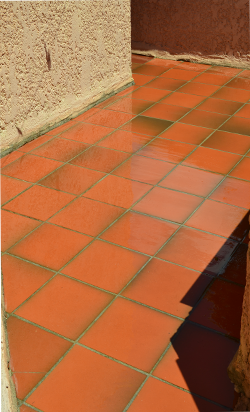 The Arcaclear system is deal for waterproofing over tiled terraces, glass or glass brick, mosaics. A transparent liquid waterproofing system, ARCACLEAR is a mono-component aliphatic polyurethane transparent membrane. A high-technology waterproof membrane, ARCACLEAR is a non-yellowing, alkali and UV resistant waterproof coating with long-lasting transparency and elasticity. Even after ageing ARCACLEAR will protect your building materials from the elements, water ingress, freezing, pollution and acid rain. The kits are pre-packaged to include all the products (and quantities necessary) you will need to apply your waterproof membrane - from primer to finish - to guarantee the long-lasting performance and finished look of your transparent waterproof membrane. The Arcaclear system comes in 2 kit sizes: to cover 5m² or 10m². Each kit is pre-packaged to include all the products (and quantities necessary) to treat the surface area of your choice. 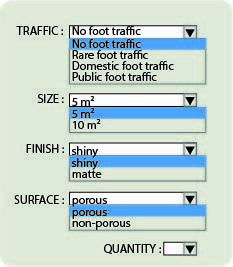 Open the TRAFFIC window and click on the type of foot traffic expected on the surface. Open the SIZE window and click on the kit size you'll require (your surface area). Open the SURFACE window and click on the nature of your surface. Note: Typical non-porous surfaces are glass, ceramic or glazed tiles, laminated wood or varnished surfaces. Most other surfaces are porous. Open the quantity window and click on the number of kits you require to treat your surface area. For example, to cover 40 m², you would indicate a kit size of 10m² and click on "4" in quantity. ARCACLEAR uses a unique moisture triggered curing system and unlike similar systems available, it does not form bubbles. ARCACLEAR is also used as a transparent binding resin for sand or stone carpet exterior floor coatings binding decorative elements such as coloured quartz, small flat stones etc. and waterproofing in one step. As such it creates a decorative and protective coating for your balconies or terraces. It can be rendered anti-grip. ARCACLEAR binds and waterproofs porous wall and floor trowelled textures. Decorative elements such as coloured quartz or sand carpets can be added and are bound together leaving you with a decorative and waterproof surface. ARCACLEAR protects all types of surfaces : wood - plastic - inorganic matter, and prevents carbonation and corrosion of concrete bars. ARCACLEAR is transparent and therefore specially called for when waterproofing surfaces such as glass, glazed tiles, mosaics, ceramic tiles etc. It is also used to renovate aged and porous thermoplastic surfaces which have hardened and cracked. (GFK, PMMA solid sheet, polycarbonates). Do not apply ARCACLEAR on surfaces treated with active silane, siloxane, silcon or other water repellents. Important: The ARCACLEAR transparent waterproofing system will cure well under normal climatic conditions (5-35° C, dry weather). Lower temperatures will slow down curing time and higher temperatures will accelerate the curing time. Glass and glazed surfaces must be primed ARCACLEAR P1 - PRIMER for non-porous surfaces. A minimum coverage rate of 1 kg/m² in 1 to 3 coats is necessary to obtain a dry film no more than 1mm thick. The ARCACLEAR will dry to a shiny glazed finish. 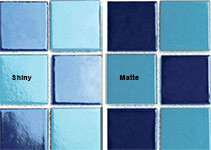 If you wish to obtain a matte finish, choose "matte" which will include ARCACLEAR FINISH in your kit. ARCACLEAR FINISH is a transparent polyurethane coating which will leave your surface treated with ARCACLEAR with a matte finish. To obtain the matte finish, respect a coverage rate of 0,1 kg/m² . The last coat of ARCACLEAR must have dried a minimum 12 hours and a maximum of 18 hours before applying ARCACLEAR FINISH Apply with a roller or tooth or serrated trowel. ARCATRAFFIC will give you a finish to render your transparent waterproofing membrane resistant to foot traffic. 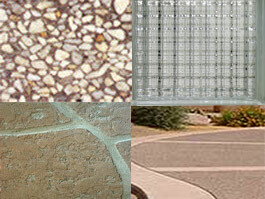 It also includes corundum white which, when incorporated in Arcatraffic, makes your surface anti-slip. See product data sheets for the various drying times. For Arcaclear resin: 2 to 6 hours. Each kit is pre-packaged to waterproof a surface area of 5m² or 10m².